Brushing teeth with baking soda is the latest that is sweeping the internet. So, how far is the claim true? And why is pearly teeth a necessity? It is the question that may arise in your mind when you read about the economical whitening solution. Teeth whitening is an integral step in your personal grooming. With the Instagram frenzy, anywhere you look, you can find images of people with whiter teeth. Therefore, white teeth is a requirement to enhance your appeal. It also makes you self-confident. The whiter teeth can boost our physical appearance and enhance the psychological health. Your teeth face the damages of everyday life. The dark liquids you consume can stain the teeth over the time. It will make you self-conscious when you smile. So, you may feel restricted to smile freely in front of people. The teeth whitening is the life-altering process that can bring positive changes in your life. So, it is a decision that can make your smile look stronger. Now coming back to the topic of brushing teeth with baking soda. Are you on the fence about it? Read ahead to get the right information. You may have the baking soda in your kitchen. It is the common item you can find in every household around the world. Also known by its chemical name, sodium bicarbonate, it is primarily used in cooking. But, it also works well for cleaning purposes. It is also the popular alternative for the toothpaste. Brushing teeth with baking soda is encouraged by many toothpaste companies. The baking soda is now one of the ingredients in the toothpaste. It is an excellent agent that can whiten your teeth by removing the stains. So, the plaque formed on your teeth with the use of coffee, tea, tobacco, etc. is removed with ease. You can achieve the pearly whites without the trip to the dentist. It is the most economical method for a white, beautiful smile. 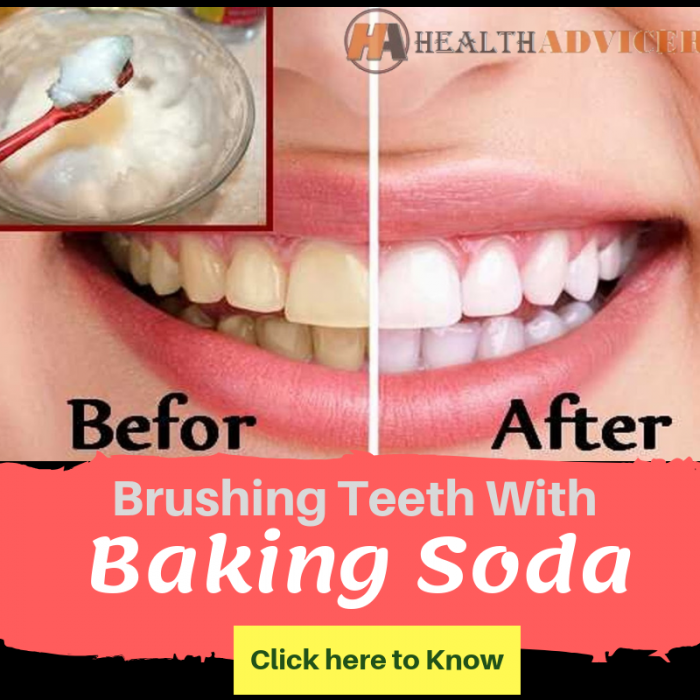 How Brushing Teeth With Baking Soda Removes Stains? It balances the acidic level of the residual food in your mouth. So, it is effective in controlling the bad breath. The alkaline combination of the water and baking soda can treat painful ulcers. It is because the alkaline solution neutralizes the ulcers, which have acidic composition. So, you can have food without any pain. The alkaline solution can attack the plaque formation on your teeth. So, it prevents other issues like gum diseases, cavity formation, and dental decay. Therefore, brushing teeth with baking soda improves the overall dental hygiene. You can smile with confidence as it overcomes the dental issues. Your mouth is a fertile place for all the bacteria to flourish. But, the oral pH plays an important role in deciding the type of bacteria that can reside in the mouth. The lower pH corresponds to a greater risk of tooth decay. The lower pH like below 5.5 makes your mouth acidic that helps the bacterial growth. So, enamel demineralization can occur at such low pH levels. For the bacteria to stop hurting your tooth, it requires pH 6.5 or 7.0. It makes the environment in the mouth inhospitable for the bacteria. So, the probiotic bacterial population increases at the high pH levels. It enhances the oral health. Brushing teeth with baking soda can make your mouth pH become more alkaline. Hence it reaches up to 8.3 levels that ensure good oral health. The bad bug in your mouth can affect the oral health. The researches have concluded that using the baking soda can lower the bad bugs. Therefore, brushing teeth with baking soda can reduce the pathogens affecting the dental health. Sodium bicarbonate is a form of salt. The salts have anti-microbial properties that can ensure good oral health. It eliminates the formation of cavities and other dental problems. 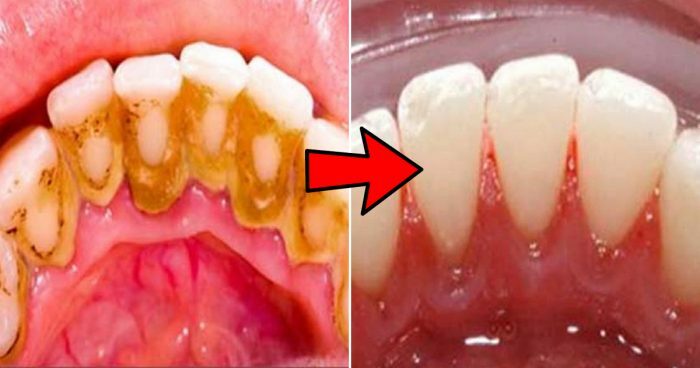 If you have stains on your teeth, then brushing teeth with baking soda is effective. It can remove the stains that do not go deeper. So, it makes your teeth whiter. Unlike the other products used for whitening the teeth, baking soda is cheap. It is found in your kitchen easily. You can buy the baking soda at low cost. So, people not interested in going to the dentist for teeth whitening can opt for the economical method. Brushing teeth with baking soda is good for less tough stains. It does not remove stains that runs deeper. So, you need to visit your dentist for sophisticated teeth whitening methods. You need to understand the tooth structure. The enamel is the outermost portion of your tooth. You brush the enamel. Under the enamel part is the dentin followed by the tooth pulp. When you have receding gums, the enamel gets eroded. So, you brush on the softer tissue known as cementum. As the enamel erodes, you are at more risk of cavities along the gum line. The receding gum line becomes more prone to decay. Without the protection of the enamel, the crown of your tooth can also suffer from structural damage. So, brushing teeth with baking soda on a receding gum line is potentially risky. The toothpaste is convenient to use as it is well-packed. The baking soda is different. Though it is inexpensive, it is messy. Baking soda is still available as toothpowder. So, you may feel it is not neat like the toothpaste. Till the baking soda manufacturers master the art of packing it well like toothpaste, you cannot use it with ease. Your teeth have a healthy biofilm that needs to stay intact for your oral health. The rough baking soda can potentially compromise the pellicle (biofilm). The pellicle is the natural layer on your tooth that protects the teeth from acidic food. It also saves the teeth from the external factors that can pose risk. Therefore, excess use of baking soda on your teeth can cause gums problem and enamel erosion. The baking soda can soften the dental glue used in the braces. So, it can leave dark spots making it look disgusting. People using braces, retainers, etc. should stay from using baking soda. The adhesive holding the braces can become loose. Hence, avoid using it. 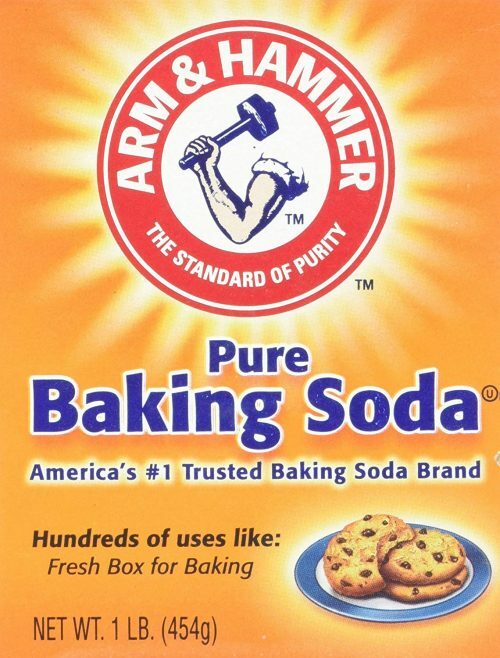 Baking soda feels gritty in your mouth. It also tastes bad after brushing teeth with baking soda. The aftertaste can prevent you from using it daily. You have to mix baking soda with toothpaste of other flavors to overcome the bad aftertaste. To have an appealing look, you need to have a beautiful smile. The white teeth can give you the confidence to conquer people’s heart with your smile. Brushing teeth with baking soda alone is not effective. So, several techniques can help whiten the teeth. The common ingredients used with the baking soda can give the desired whitening effects. Let’s delve deep into each technique and see how it works. You need to make a paste of baking soda with the fresh lemon juice. Apply it on your teeth. You have to wait for at least one minute to wash it away. The lemon juice is acidic in nature. Therefore, it helps you remove the surface stains on your teeth. Lemon juice is highly acidic in nature. The use of acidic elements on our teeth can damage the enamel. You have to clean the teeth properly to avoid the acid to pool on the tooth. It leads to the erosion of the enamel and causes dental issues. So, it is better to limit the technique as it can cause more harm than good. You need to maintain caution while opting for the technique. Using the mix of coconut oil and baking soda on your teeth is effective for teeth whitening. The oil can break down the plaque. The potent mix of coconut oil and baking soda can remove the bacteria. It also can eliminate the yellowish color on your teeth. It has proven detoxifying effects. Many celebrities follow the method for shining white teeth. The coconut oil and baking soda can maintain the pH levels in your mouth. So, it can prevent the growth of bacteria. It is also useful to eliminate the plaque formation. But, many people many may not like the taste of coconut. In cold countries, the coconut oil is available in solid form. Therefore, it takes time to dissolve. But, it works well in obtaining shining teeth. Though, it is not effective in eliminating the tough stains. Hence, you may not get the desired results. It is the most convenient method that is easy for you to try. You need to mix the toothpaste and baking soda. So, brushing teeth with baking soda and toothpaste is comparatively easier. You need to brush the teeth for at least two minutes to reach all surface. Rinse it off with water. Take care not to brush the gums with the mixture. It can lead to bleeding and burning sensation. Baking soda has plaque removing properties. Using it with paste can remove the plaque from your teeth. Therefore, it is a good method for getting whiter and cleaner teeth. But, persistent brushing teeth with baking soda and toothpaste can lead to enamel erosion. It may result in the formation of cavities. 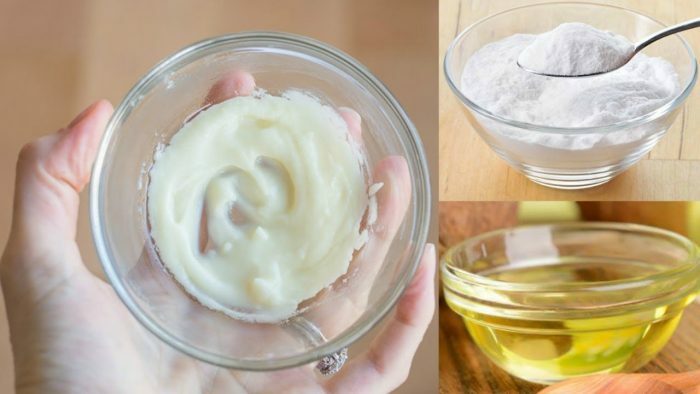 Make a paste of hydrogen peroxide and baking soda. Brush your teeth in a circular motion. Make sure you brush on the teeth surface and not on the gums. The potent mixture can remove the surface teeth to achieve whiter teeth. The hydrogen peroxide may taste bad. But, it can kill the harmful bacteria in your mouth. The baking soda and hydrogen peroxide mixture can scrub the tooth surface well. People who have tough coffee and wine stains on their teeth can see visible results in a short time. After brushing teeth with baking soda and hydrogen peroxide, you can see flawlessly clean teeth. So, it is the most effective method to obtain a shiny, white, and clean teeth. Even your dentist can approve the effectiveness of the combination. Therefore, you can use the technique in your daily routine for the charming and alluring pearly whites. You need to brush consciously for the optimal oral health. Aggressive brushing can result in enamel erosion and other issues. The grit in the baking soda can remove plaque. But, brushing aggressively can harm your gums. Dilute the baking soda with your saliva for twenty seconds before starting to brush. It will dissolve the grit. Hence, it can cause less harm to your gums. Switch your brushing pattern. As a habit, you may start from the left or right side. Then, you will brush the surrounding gum tissue. You may repeat the pattern. But, over the time it can weaken the area you brush more. So, switch places to ensure you do not brush the same area again. Give equal importance to all the areas of the mouth. Brushing teeth with baking soda can give you whiter teeth at low cost. You need not spend loads of money to get the whiter smile. With a whiter smile, you can charm people. It will help you in our professional as well as personal life. You will start smiling without inhibition. So, you look friendlier to others. Smiling more is also good for your body. It induces positivity in your life. Therefore, bring out the best in you with an alluring smile.